The Kenosha Unified School District is one of the best performing large school districts in the state, serving more than 20,000 students each year. Additionally, there are many private school options providing plenty of choices for families looking for a great education for their kids! Kenosha has a wide variety of early education opportunities. It's a large enough community to offer a range of quality options from public 4K, public and private day care centers and preschools and parochial, montessori, charter, and specialty learning environments. Yet it's small enough to make it convenient for your daily life - and not inconvenient on your pocketbook. Watch your child LEARN, GROW & THRIVE! The Y is a state-licensed facility with a commitment to providing the highest quality care. Our mission and core values will leave you feeling secure knowing your child is in an inclusive, positive and nurturing environment. Curriculum includes Kindergarten preparation with an emphasis on Social Emotional Learning. Plus nutritionally sound breakfast, lunch & snacks, free swim lessons on Thursdays for children 3-5, and Gym/Outdoor Time, all ages. An Extension of Love, from Home to School. It’s hard to leave your child in the care of someone else. EL has 29 years of experience caring for children 6 weeks through school age. We believe in nurturing the “whole” child physically, cognitively, socially and emotionally. We help children develop the skills to become confident, strong, creative and healthy individuals. Proud to be voted the Best of Kenosha “Child Care” Winner in 2013 and 2018. A reflection of the diverse and thriving Kenosha community. With four neighborhood locations, one bookmobile, and one handicap accessible book truck, KPL is embedded in the community, providing everyone with access to a vast array of resources and services. KPL recently received national recognition for our work with the SirsiDynix Power of Libraries award. We specialize in everything from early childhood literacy to digital media production and can't wait to help you connect to your passion.  Cornerstone Academy is a preschool in Kenosha serving children from the age of six weeks to 12 years. We provide a rich and nurturing atmosphere for your child’s cognitive, social, emotional and physical growth all while in a fun learning environment. Our skilled staff and admirable surroundings are the vital components of our program. Cornerstone offers live webcams for parents to view their child’s daily activities. Stop in ANYTIME for a tour! Kenosha is the fourth largest city in the state and consequently has some of the largest schools. This means that there are a wide range of academic and extra curricular programs for every type of child. Kenosha Unified School District serves the communities of Kenosha, Pleasant Prairie and Somers - more than 20,000 students in all. Charter, choice, and private schools also are excellent options available for students to consider, as well as a wide variety of parochial schools. KUSD is providing excellent, challenging learning opportunities and experiences that prepare each student for success. Kenosha Unified School District (KUSD) is the third largest school district in the state, educating more than 21,000 students annually at 22 elementary schools, 5 middle schools, 3 high schools, charter schools, 5 choice school and one specialty school. Among Wisconsin's five largest districts, it has the second-highest advanced/proficient scores. Where every child is known and valued, supported and challenged. Ranked the #1 independent school in Wisconsin, students age 3 – 18 pursue and achieve excellence in all areas at Prairie. By capitalizing on ample leadership and co-curricular opportunities, your child will realize their dreams as a scholar, artist, athlete, and leader. TPS students shape individual learning experiences allowing them to become the best version of themselves as they enter the next phase of their life capable and confident. A comprehensive preschool through high school, designed to educate the whole child intellectually, socially, and spiritually. St. Joseph Catholic Academy (SJCA) provides an education centered around the whole student through a comprehensive focus on academic, moral, social and spiritual development throughout his or her entire educational journey. Our students ask questions, pursue knowledge, seek the truth and love learning. SJCA is the largest private school in Kenosha and is open to students and families of all faiths and backgrounds. Each student in the Kenosha Unified School District is assigned to a school based on the boundary in which they live. However, every student has the option to attend other schools by choice. Choice and charter schools offer the same core subjects and have the same graduation requirements as the rest of the schools in the district. However, their delivery technique and electives may vary depending on the school’s focus and emphasis. Kenosha is definitely a college town! More then 3,500 degrees are awarded annually in Kenosha County from one of five institutions of higher learning operating here, each with its own academic programs and focus. Carthage College is a four-year private liberal arts college with a beautiful campus on the shores of Lake Michigan. Gateway Technical College is one of the largest schools in the the state-run Wisconsin Technical College System, educating thousands of students annually for health, business, manufacturing & engineering and service careers. Herzing University offers both online and on campus Healthcare, Business, and Technology college degrees for adults. The University of Wisconsin-Parkside is a four-year public university offering 33 undergraduate majors and three master's degrees in 22 academic departments. Concordia University offers degree programs for adult learners at their Kenosha Center. Since 1968, the University of Wisconsin-Parkside has continued to build a reputation as an outstanding liberal arts institution with particularly strong fine arts programs. With The Rita Tallent Picken Center for Arts and Humanities, our state-of-the-art instructional facilities and stunning performance venues match our award-winning academic programs and provide even greater community access. At Carthage, 150+ devoted faculty encourage as often as they challenge. Professors, not teaching assistants, teach all classes. The Carthage curriculum ranks among the nation’s best with seniors performing in the top 11% nationally in critical thinking, writing, and problem solving. Carthage awards the Bachelor of Arts degree with majors in more than 40 subject areas, the Bachelor of Science in Nursing degree, a Master of Education degree, and a Master of Science in Business Design and Innovation degree. Earn Your BSN Degree in 3 Years or Less! You want to make a difference, helping others. We want to help you get there. Herzing University offers multiple starts throughout the year, and the opportunities to gain real-life experience in our dynamic Simulation Center — from routine events to crisis situation, develop hands-on experience during your clinical experiences with actual patients, and to graduate in as little as 3 years. Our concentrated curriculum will help you stay on track with your career goals. Scholarships are available.